This section includes a selective bibliography of secondary sources about Joyce and his works, with annotations. Ellmann, Richard. 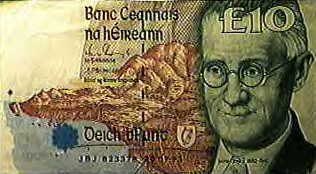 James Joyce (New and Revised Edition). Oxford: Oxford University Press, 1982. Considered a definitive biography of Joyce, Joyce scholar Ellmann has taken a copious amount of raw material and fashioned it into an 886 page masterful portrait of an artist. Published first in 1959, and revised in 1982, this biography has caused some contention over author bias, however, it remains an essential part of the Joyce canon. Joyce, Stanislaus. My Brother’s Keeper: James Joyce’s Early Years. London: Faber, 1958. This book, written by Joyce’s younger brother, 3 years his junior, gives an illuminating account of Joyce’s early years. Maddox, Brenda. Nora. Boston: Houghton Mifflin, 1988. This is considered the definitive biography of Joyce’s wife, Nora Barnacle Joyce, and also a strong complement to Ellmann’s Joyce biography. It portrays not only the at times volatile marriage of the Joyces, but also gives insight into the social history of Ireland and the expatriate communities in which the Joyces lived. O’Brien, Edna. 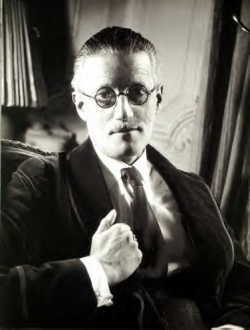 James Joyce. London: Weidenfeld & Nicolson, 1999. This book, in the Weidenfeld & Nicolson/Penguin Lives Series, is an excellent, insightful read and gives a different take on the conventional biography. Its relaxed narrative style portrays Joyce from his early boyhood days to adulthood, and discusses influences, family dynamics, and writing, utilizing many quotes. Atherton, James S. The Books at the Wake: A Study of Literary Allusions in James Joyce’s ‘Finnegans Wake’. Mamaroneck, NY: Paul P. Appel, 1973. A pioneering work on the novel which examines major books and authors exploited by Joyce in the text. Attridge, Derek, ed. The Cambridge Companion to James Joyce. Cambridge: Cambridge University Press, 1990. This indispensable guide is an insightful companion to Joyce’s works. It includes essays by a variety of scholars on such topics as “Joyce and Feminism,” Joyce and Post-modernism,” and “Joyce the Parisian”. It also includes a vast bibliography for further reading. Beckett, Samuel, et al. Our Exagmination Round His Factification for Incamination of Work in Progress. London: Faber, 1972. Collection of pieces on the earlier parts of Finnegans Wake. Orchestrated by Joyce himself, of considerable historical and critical interest. Benstock, Shari, and Bernard Benstock. Who’s He When He’s at Home: A James Joyce Directory. Urbana: University of Illinois Press, 1980. Directory of the named individuals in Joyce’s works, excluding Finnegans Wake. Bidwell, Bruce, and Linda Heffer. The Joycean Way: Topographic Guide to ‘Dubliners’ & ‘A Portrait of the Artist as a Young Man’. Baltimore: Johns Hopkins University Press, 1981. This book goes chapter by chapter in both works and pictorially illustrates the places Joyce’s characters wandered. Text is included as well, and there are considerable details given. The focus is on place, and quotes from the texts are used to supplement the images as well. Blamires, Harry. The New Bloomsday Book (3rd Edition): A Guide Through Joyce’s Ulysses. Routledge Press, 1996. This renowned critical text takes a Ulysses reader through each chapter; the headings are paralleled to the Homerian epic. Blamires stays close to the text at all times. There are page number correspondences listed for two editions of the novel (Random House and Penguin), and this renders the text extremely functional as a guide for reading the “universal masterpiece”. Füger, Wilhelm, ed. Concordance to James Joyce’s ‘Dubliners’. New York: Georg Olms, 1980. A useful detailed guide to the collection. Gifford, Don. ’Ulysses’ Annotated. Los Angeles: University of California Press, 1989. This is another Ulysses guide, and is one of the original companions to the work. It was published in 1974 and revised in 1989. Hart, Clive. A Concordance to ‘Finnegans Wake’. Mamaroneck, NY: Paul P. Appel, 1973. Invaluable resource, lists all the words in the novel, plus meaningful parts of the words and suggestions for meanings of said words. Hart, Clive, and Leo Knuth. A Topographical Guide to James Joyce’s ‘Ulysses’. Colchester: A Wake Newslitter Press, 1986. This book has informative and entertaining maps and includes commentary. 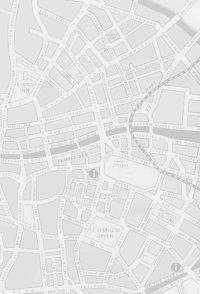 It also gives a list of addresses in Dublin significant to the novel. Mood, John. Joyce's Ulysses for Everyone, or How To Skip Reading It The First Time. Bloomington: AuthorHouse, 2004. A laudable, non-academic guide to the plots of the novel. Intended to help motivate lay readers to tackle and derive enjoyment from the intricacies and language of the great text. Steppe, Wolfhard, and Hans Walter Gabler. A Handlist to James Joyce’s ‘Ulysses’. New York: Garland, 1986. A computer-generated concordance, keyed to line-references in the 1984 edition of the novel. Tindall, William York. A Reader's Guide to Finnegans Wake. Syracuse: Syracuse University Press, 1996. A classic and well known guide to the intricacies of the novel. Bloom, Harold, ed. James Joyce: Modern Critical Views. New York: Chelsea House, 1986. Important essays by scholars/writers including Samuel Beckett, Raymond Williams, and Frederic Jameson. Brown, Richard. James Joyce and Sexuality. Cambridge: Cambridge University Press, 1985. A thorough discussion of the social and literary notions of sexuality that influenced how Joyce wrote about the subject. Chace, William M., ed. Joyce: A Collection of Critical Essays. Englewood Cliffs, NJ: Prentice-Hall, 1974. This collection includes some of the most famous essays on Joyce. Ellmann, Richard, ed. Selected Joyce Letters.New York: The Viking Press, 1975. This extensive volume covers a lifetime of James Joyce correspondence to such correspondents as Lady Gregory, Ezra Pound, Joyce’s brother Stanislaus, his patron Harriet Shaw Weaver, and Nora, his wife. It is organized chronologically, and makes for fascinating (and sometimes shocking) reading. Fargnoli, A. Nicholas, and Michael Patrick Gillespie. James Joyce A to Z : The Essential Reference to the Life and Work. London: Oxford University Press, 1996. This work manages to attain clarity without sacrificing the fascination of its subject. Some 800 alphabetical entries encompass specific aspects of the author's work, and provide insight into the culture, history, biography, and criticism of his writings. Includes 34 B&W photos, bibliographies of biographical and critical studies, a chronology of Joyce's writings and publications, a timeline from Ulysses, and a working outline of Finnegans Wake. Henke, Suzette A. James Joyce and the Politics of Desire. London: Routledge, 1990. This discussion of the works of Joyce centers around issues of desire, language, and sexual indifference. The book raises the issues of how Joyce’s writing influenced traditional notions of sexuality, linguistics, and propriety. Herr, Cheryl. Joyce’s Anatomy of Culture. Urbana: University of Illinois Press, 1986. Joyce and Dublin working class culture, special attention given to newspapers and sermons. Kenner, Hugh. Dublin’s Joyce. New York: Columbia University Press, 1987. A multi-layered, fascinating book on Joyce and his writing. The chapter on Portrait has been very influential on Joyce scholarship. Moseley, Virginia. Joyce and the Bible. De Kalb: Northern Illinois University Press, 1967. This study traces biblical analogies from their conceptions in Joyce’s notebooks to their manifestations in Joyce’s works. Each work is discussed, in chronological order, and explicit biblical references are given throughout. Norris, David, and Carl Flint. Joyce for Beginners. Cambridge: Icon Books, 1994. This refreshing book is written in cartoon form. Despite its seemingly juvenile layout, it actually supplies critical insight, and explicates scenes from all the major works. Joyce’s early days and family are examined, as are the events that influenced his later writings. A recommended read that gives easy access to either intimidated Joyce readers or seasoned admirers. Reizbaum, Marilyn. James Joyce’s Judaic Other. Stanford: Stanford University Press, 1999. Reizbaum takes a look at Joyce’s fascination with Judaism - partly due to his connection with outcasts – and the concept of the other. Key scenes from Ulysses are thoroughly interpreted, and a lengthy bibliography is offered. Also included is a bibliography of pertinent books in Joyce’s Trieste library and other Judaica books by which Joyce was influenced. Though not the easiest read, it is still valuable and illuminating on its subject. Scott, Bonnie Kime. Joyce and Feminism. Bloomington: Indiana University Press, 1984. A valuable resource for discussions of Joyce’s relation to early feminism, and of the women who played a significant role in Joyce’s creative life. A fantastic, comprehensive site, ideal for every level of Joyce reader, from beginner to enthusiast. Highlights include news, quotes, papers, media, bookstore, reviews, references to Joyce in other literary works, image gallery, and more. A comprehensive site, albeit organized a bit haphazardly. There is a lot to be found here, however, including a multitude of information on topics ranging from general to esoteric, and links gallore as well. One can even search for words in particular texts using a concordance search engine. Well worth a visit. This Guardian site has a variety of sources; criticism, essays, primary work transcriptions, maps, cartoons, an online journal, and links to full text online versions of many of Joyce's primary works. A fun, animated, online version of Ulysses. Excellent resource for finding journal articles on Joyce's works, influences, and life. A huge database, but one can narrow searching to more specific categories and time frames.